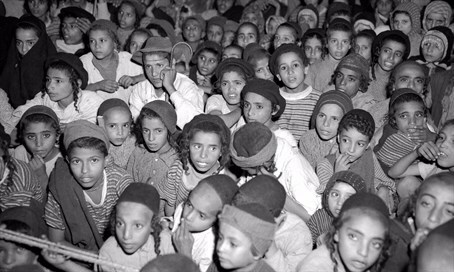 The long saga of the Yemenite children may be coming to a close. At the cabinet meeting today (Sunday), the government adopted a resolution to appoint Minister without portfolio Tzachi Hanegbi to act in the name of the government in resolving the Yemenite children affair. Allegations have been circling for many decades that in the early stage of the State of Israel many children of Yemenite families were taken from them and given to be raised by Ashkenazi families, with the parent then being told that their child had died. It is further alleged that this was done either for racist reasons--a belief that Yemenite parents are not fit to raise children--or anti-religious reasons--a desire by the state to make the children secular. In 1995 a commission was appointed to investigate the matter, headed by then Supreme Court Justice Yehuda Cohen. After 7 years of work, it was concluded that there was not enough evidence to support the conclusion that these kidnappings did indeed occur. However, many documents were then classified and hidden from the public. Justice Minister Ayelet Shaked led a push to bring these documents to light, so that the matter can finally be put to rest, and today the matter was brought up for discussion at the Cabinet meeting, where action was finally resolved upon. Prime Minister Netanyahu called the matter "historic", further saying that "I am committed to finding the truth about this, and Minister Hanegbi will present his findings to the government." The Prime Minister further noted during the deliberations that there were other children from non-Yemenite backgrounds whose fate remained mysterious, and would be investigated. Minister Shaked was pleased with the result. "I'm happy my proposal bore fruit. I will give Minister Hanegbi all the help he needs. The truth must come to light."